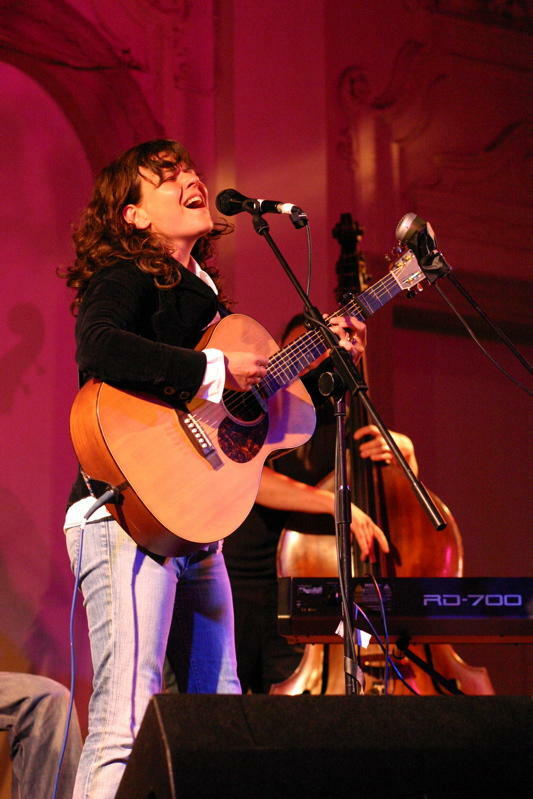 ≡ In 2003 Paulusma was happily putting the finishing touches to shed-recorded debut album 'Scissors in my Pocket' when Bjork's label One Little Indian signed her up and catapulted her round the world for 6 years, supporting Bob Dylan, Jamie Cullum, Joseph Arthur, Coldplay and many others. Now she's set up her own label Wild Sound and is releasing her third offering, 'Leaves from the Family Tree'. March 2006 "Fingers & Thumbs"